Have you any horse racing questions? Please submit your horse racing questions below and get answers fast! Please submit your question below so we can answer as soon as possible. What is the highest Spotform rating in the Daily Mirror? What does Nigel Hamilton former trainer do now? Where Is Nigel Hamilton now? Anti-post bets and supplemented horses. Why are times at the Japan Cup so fast? 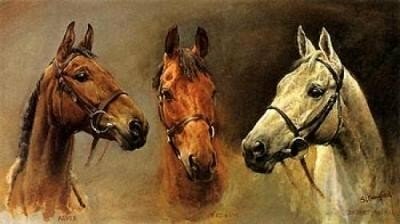 Name the First Horse to Beat Red Rum on the Flat Answer: I am unable to trace this information. Can anyone else help? Do you wonder if a tipster is telling the truth? Are you confused about horse racing jargon? Horse racing information has never been so readily available as it is today and thousands of websites attempt to cater for the public's insatiable appetite for answers to every conceivable question. By no means all of these are reliable or trustworthy - indeed a large number are more concerned with making a quick buck than ensuring their readers are supplied with useful and bona fide information. We strive to do the best we can through our knowledge and experience of the industry. Please note that different countries may have different rules and regulations, so every horse racing query may be country dependent. Having said that, I am able to tap into a number of experts in different parts of the world e.g. Laurie Ross, an expert on thoroughbred handicapping in the US and Steve Carter in Spain amongst others. Most tipsters and handicappers focus on different aspects of racing so it is helpful to be aware of their specialization. However, there are many horse racing pundits out there who are simply out of the ordinary and a cut above the rest. We will point out when we believe this is the case. Please remember that this is not definitive advice, it is information about horse racing in general. If you submit a question, you agree to not rely on any of the information on this site (or any information given to you in an answer). You use any information provided at your own risk.